Imagine your favorite chanteuse collaborating with a classically trained violinist, an alt-country troubadour, and a hip-hop producer. Now imagine that they are all the same person. 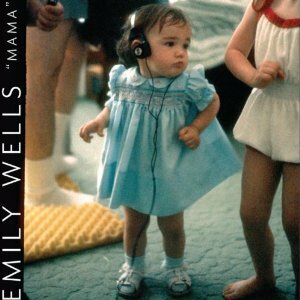 Emily Wells defies any categorization except “stunning” on her latest album, Mama. These ten sensual, playful, gentle, solemn compositions prove that unique does not have to mean bizarre, and inspiration does not have to mean impersonation. On 2008’s The Symphonies, Wells gave equal billing to her voice and violin. She wisely decides to let versatile vocals take center stage on Mama. Wells evokes numerous quirky blues-rock/folk-hop/neo-soul women while imitating none of them. She inundates us with seductive wails, commanding croaks, memorable phrasing, and catchy refrains. The production is equally virtuosic, marrying bluegrass to cosmic slop with too many instruments to rattle off here. This weak-spot-free effort reaches its peak with “Johnny Cash’s Mama’s House” and “Let Your Guard Down.” The former is a bump n’ twang gumbo featuring a subtle synth line and a gorgeous string solo. The beat alone warrants exposure on both NPR and the rap mixtape circuit. The latter is a seething lament that spotlights Wells’ singing. “You got everything you wanted, yeah, everything but me,” she taunts over a spare arrangement that concludes with a breathtaking release. Once she’s completed Pillow Fight with Dan the Automator, Emily Wells needs to get with Merrill Garbus and figure out what, if anything, they want to name this astonishing new genre they’re inventing.